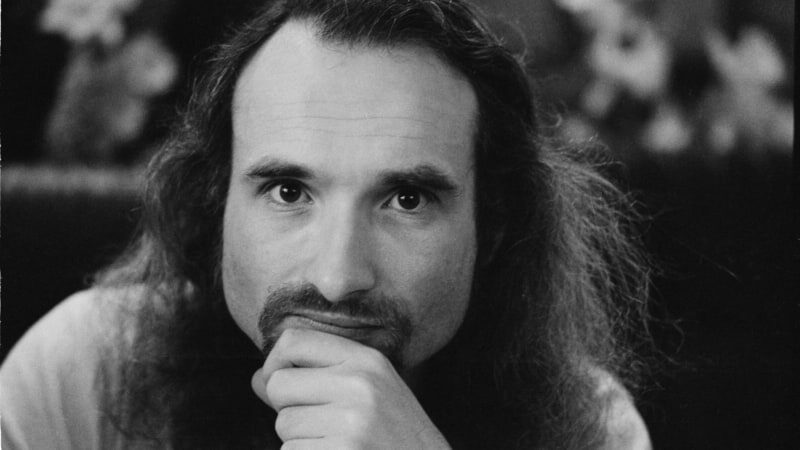 Holger Czukay, the bassist and co-founder of seminal German krautrock pioneers Can, died Tuesday, per the Cologne newspaper Kölner Stadt-Anzeiger. He was 79. Czukay was reportedly found at Can's famed Inner Space Studio in Weilerswist, Germany, where he'd apparently been living as well. Construction crews working nearby had not seen Czukay for several days and a neighbor eventually found him in his apartment. A cause of death has not been disclosed. Czukay co-founded Can in 1968 alongside keyboardist Irmin Schmidt, drummer Jaki Liebezeit and guitarist Michael Karoli. Prior to forming the group, he studied under German avant-garde composer Karlheinz Stockhausen and worked briefly as a music teacher. While Czukay initially had little interest in rock & roll, he was piqued by the Beatles' "I Am the Walrus," which led him to interest in the Velvet Underground, Frank Zappa and Jimi Hendrix, among others. In Can, Czukay helped marry these ostensibly disparate influences into a singular style. Can relied heavily on improvisational songwriting (a method described as "instant composition") and blended elements of jazz, rock, psychedelia and the avant-garde that would influence a generation of artists in New Wave, techno, trance and more. As the band's bassist, Czukay worked closely with Liebezeit – famous for his motorik drumming style – to form the steady, propulsive grooves that bubbled at the center of Can's music. Following their formation, Can recorded an oft-bootlegged collection of songs that later appeared on their 1981 compilation, Delay 1968. The band's official debut, Monster Movie, arrived in 1969. Along with his duties as bassist, Czukay engineered and recorded the majority of Can's records until he left the band after 1977's Saw Delight. At that point, he was only contributing tape and sound effects following the addition of former Traffic bassist Rosko Gee. Czukay quickly embarked on a fruitful solo career, releasing a new LP, Movies, in 1979. As a solo artist, he experimented with sound effects, splicing tape and early, labor-intensive forms of sampling (he regularly deployed the french horn as well). Czukay also worked extensively with shortwave radios, recording snippets of audio and incorporating them into his compositions, a method he called "radio painting." Along with his solo work, Czukay collaborated with an array of artists, including Brian Eno, U.N.K.L.E., the Eurythmics, Jah Wobble and the German band Trio. Czukay released his last solo album, Eleven Years Innerspace, in 2015.